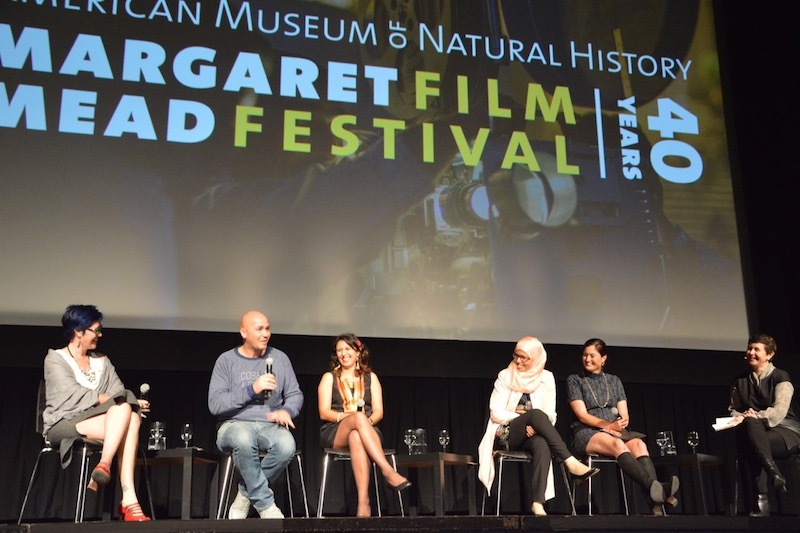 When the 2016 Margaret Mead Film Festival celebrated it's 40th Anniversary October 13-16, the festivities included a first-of-it's-kind virtual reality documentary lounge and a closing night Cuban salsa party. The main draw though, of course, was the 44 documentary and ethnographic films from 50 countries, illuminating the history, complexity and diversity of human cultures across the world. One such film was the opening night U.S. premiere of A Revolution in Four Seasons, directed by Jessie Deeter. 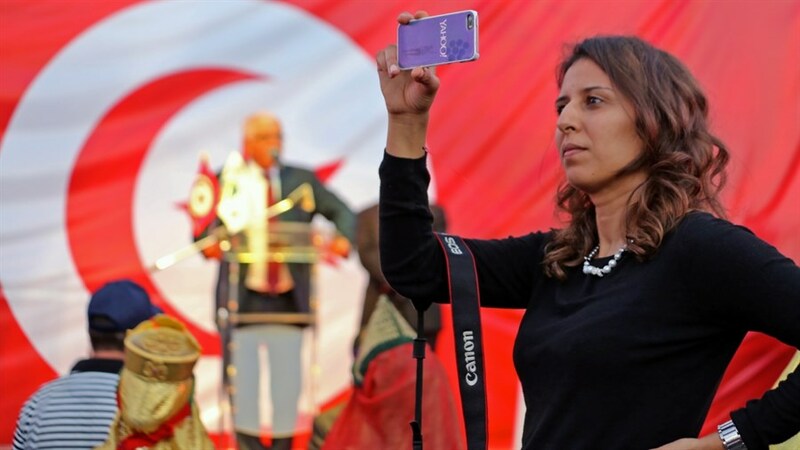 The documentary follows two women in Tunisia, secular journalist Emna Ben Jemaa and Islamist politician Jawhara Ettis, in the years following the Arab Spring. The revolutionary wave known as the Arab Spring was sparked by Tunisian street vendor Mohamed Bouazizi's self-immolation, protesting police corruption and ill treatment after his fruit wagon had been confiscated in December 2010. Demonstrations, protests, riots, coups and civil wars spread from Tunisia throughout the Arab world. We are still seeing the devastating effects, such as the largest refugee crisis in modern times with 4.5 million people having fled Syria since the start of the conflict. But the film doesn't bring us in to the battle fields. Instead, we follow the events through the eyes of Jemaa and Ettis, who both appear to lead somewhat privileged existences. Jemaa is a celebrity blogger, who's marrying a software engineer during the course of the movie. Having spent many years working in the U.S., he has returned to participate in shaping the new Tunisia, and the couple appears to live a very comfortable, modern, upper middle-class lifestyle. A scene from Jessie Deeter's 'A Revolution in Four Seasons,' recently screened at the 2016 Margaret Meade Film Festival. Ettis' family stems from generations of nomads, who are now permanently settled in countryside villages. They live in multi-generational households guided by traditional values, where religion plays a large part. Etti is a teacher who works for the Islamist party Ennahda, aiming to create a new Tunisia guided by Islamic principles. Jemaa's vision for Tunisia is inspired by France and Sweden, while Etti's future Tunisia resembles Turkey. When a documentary follows subjects like this, through visits over the course of a few years, time will tell if the cause of events will be interesting or not. While history is being written with the Arab Spring uprisings, we are too far removed from them to be emotionally affected. When Jemaa describes the danger of participating in a demonstration, and how someone got beaten up with blood on his face, it appears somewhat innocent to the American viewer, who's exposed to much worse at home with all the recent cases of police brutality and mass shootings. Instead, we follow the parallel lives of the two women, and what's interesting is perhaps to challenge our ideas of how a secular lifestyle in Tunisia looks compared to an Islamist one. Etti has a higher education, and represents her whole village as a member of the constituent assembly. She gives fiery speeches to promote female education, and wants to find ways for the opposite sides to meet and find commons grounds when writing the new constitution. Etti continues to work after getting married, throughout her pregnancy, and even brings her infant daughter to the parliament afterwards, when she has to. She and her husband agree that her work comes first, and he stays home with their daughter in an arrangement similar to what you find in Sweden. Jemaa, on the other hand, leaves politics to her husband after their daughter is born. And at the film's opening night, when the two protagonists appeared on stage afterwards, Jemaa brought her husband while Etti came alone, ready to answer questions with more strength and passion than ever. Best and Most Beautiful Things by Garrett Zevgetis, opens in theatres December 2, 2016. A coming of age tale about Michelle Smith, legally blind and diagnosed on the autism spectrum, handling her label as an outsider. For Festival information click here. For future ticketing information click here. The Price of Peace by Kim Webby, available on Amazon Video now. The film follows the case of Tame Iti, an Indigenous activist from the Ngāi Tūhoe community of Ruatoki in New Zealand, on trial for alleged terrorist activities, while at the same time representing the relationship between Māori communities and the government of New Zealand. For Festival information click here. For viewing information click here. Underfire: The Untold Story of Pfc. Tony Vaccaro by Max Lewkowicz, an HBO Documentary Film, opens in theatres October 28, 2016. A film about the life and personal journey of American G.I. Tony Vaccaro, from photographing the day-to-day life of soldiers on the battlefield during WW2, to becoming a 93-year-old pacifist. For Festival information click here. For ticketing information click here. 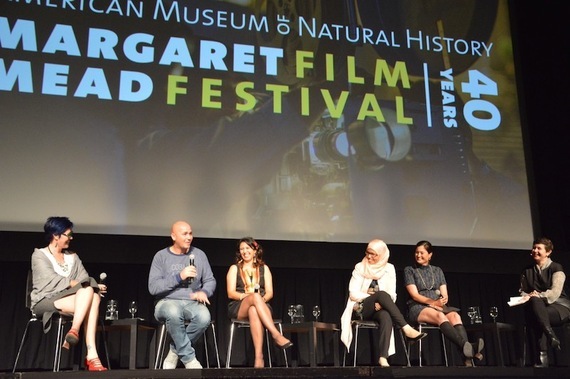 For more information on the Margaret Mead Film Festival 2016, click here. Cover: Panel discussion at opening night premiere of Margaret Mead Film Festival; (l. to r.) co-producer Sara Maamouri, Emna Ben Jemaa's husband (name unavailable), Emna Ben Jemaa, Jawhara Ettis, Jessie Deeter and Sevanne Kassarjian (Margaret Mead's granddaughter); photo: Annika Andersson. Annika Andersson is a Contributing Writer for ZEALnyc and writes about film and related events.